General TV Channel / TV1 is a Bosnian commercial infotainment television channel based in Sarajevo. TV1 has started broadcasting their own experimental program on the 26 August 2010. The program is broadcast on a daily basis, 24 hours in Bosnian language. This television channel broadcasts a variety of programs such as news, TV series, talk shows, entertainment and sport magazines, movies and documentaries. TV1 broadcasts in 16:9, SDTV aspect ratio and it has own teletext services. 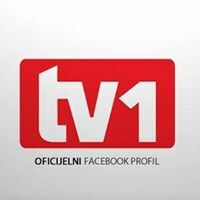 Reporters and correspondents of TV1 are located in the cities of Mostar, Tuzla, Zenica and Banja Luka. Responsible editor of the news program is Sedin Ćenan, deputy news editor is Mirza Čubro.